Streamline waste removal with our construction bins. An important part of any construction project is waste removal. The construction process generates a lot of leftover material that needs somewhere to go–it needs to be safely contained somewhere onsite before ultimately being removed. At Guaranteed Services, we specialize in waste removal such as this, and offer construction bins to meet any project’s needs. If you are planning a construction project in the Stayner, Ontario area, get in touch with our team to begin the rental process for our construction bins. Our team at Guaranteed Services strives to make this process as smooth as possible, saving you effort and attention that you can instead focus on seeing your project through. We can consult with you to choose the right size and number of bins to meet your project’s needs, and choose the best locations on the property to place them. Next, we’ll set up a schedule for delivery and pickup based on your timeline–we offer flexible scheduling to accommodate your prior time commitments. Once construction is complete, our team will come haul the bins away and dispose of their contents at appropriate waste processing facilities. 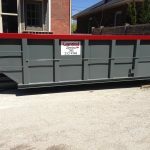 To get started with our construction bin rental process, we’ll first need to know your estimates for how long the project will take, what types of materials you’ll need removed, and how many and what size bins you will need. (Though as mentioned above, we can help you get a more accurate estimate if necessary.) From that information we can give you a quote, as well as answer any lingering questions. 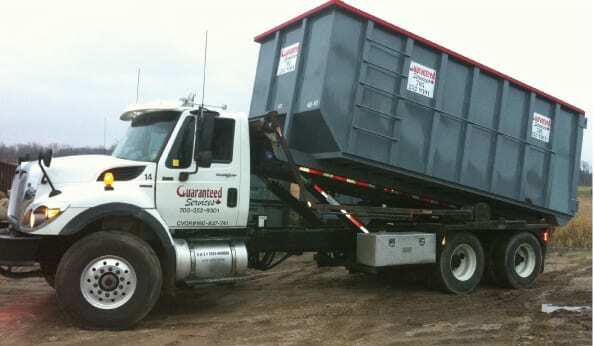 Contact Guaranteed Services today to arrange construction bins for your next project.